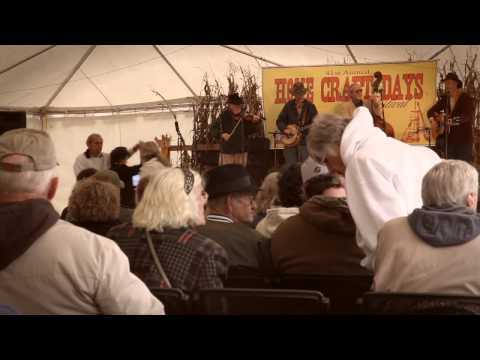 Since 1972, Home Craft Days has served as a focal event celebrating the unique aspects of Appalachian culture. Artisans and musicians demonstrate the traditions of the past, emphasizing the importance of preserving the heritage of our region for future generations. More than 40 years ago, two Mountain Empire Community College faculty members, Roddy Moore and George Reynolds, developed a project to help students learn about music, arts, and mountain life from local musicians and artists. They invited these artists to come to the campus for a celebration of Appalachian culture. Organizers named the event Home Craft Days. That first festival was one of the finest gatherings of traditional artists and mountain music in memory. The success of this first gathering spurred the creation of an annual event. Musicians and craftspeople have continued to gather on the campus of Mountain Empire Community College on the third Saturday and Sunday in October. Home Craft Days draws thousands of visitors and is regarded as the premier event celebrating mountain culture in Southwest Virginia. Children’s Activities and Lecture Schedule Coming Soon!